"We are thrilled to have won an award, it is a great honour, we never set out to win an award, however, we are thankful and appreciative of the recognition of our work through this accolade" said an ecstatic yet humble Mr Yanga Mhluzi after the group won the best ensemble group award. The award was won today 17th March 2018 at Zabalaza Festival in Western Cape. "Zabalaza is a Baxter Theatre Centre development programme that develops theatre practitioners from in and around Western Cape by providing them with performance platforms so that they can realise their creative concepts" reads part of Zabalaza literature. Zabalaza theatre festival's motto is "Creativity, when given encouragement and opportunity knows no limitation"
Mr Yanga Mhluzi was happy for the group's achievement, however, as usual he remained humble and showered the audience for their unwavering support. To just show how popular their play was at the festival, the group was nominated in the following categories best production, best music, best supporting actress/actor, best script, best promising production and best Ensemble a category which they came on top. "When we went to the Zabalaba festival we did not expect to be nominated for any award or later on to win it, we were there to continue with our activism of highlighting the gukurahundi genocide to the world" said Mr Mhluzi. "You should have been there to believe the reaction we received after the play, during the play you could hear a pin if it dropped, but when we wrapped up the play we received a standing ovation" Mr Mhluzi said. After the theatre play uLoyiko cast took time to mingle with the audience as they had a lot of questions about the play. Mr Mhluzi said that one of the most interesting questions he heard was about the lack of awareness of the Matabeleland genocide. A few days ago Mr Robert Mugabe blamed the Matebeles (Ndebele) for the genocide. Robert Mugabe continues on his line of not taking responsibility for the genocide and he continues to receive state protection against prosecution as this will implicate the current President, Mr Emmerson Mnangagwa. Mr Mugabe blamed the Ndebeles and ZAPU in general for inviting the genocide onto themselves, however, what was telling in his SABC interview is the revelation that the gukurahundi was targeted at Ndebeles. Many Shona speaking people have been in great pain trying to deny this fact which Ndebeles knew from the word go. ZAPU came out guns blazing and denied any culpability to the genocide. Over the years Mugabe has blamed ZAPU of arms caches but the current intelligence reports released in South Africa shows that this was a concoction of Emmerson Mnanganwa and the South African apartheid government to suffocate the Ndebele people and uMkhontowesizwe. Mugabe is slowly damping this narrative but leaping to another, now he says that his friend Nyerere alerted him to the weapons which were imported through his country and claimed that they belonged to ZAPU. It is clear that Mugabe will die without admitting culpability and responsibility of this heinous crime. It is up to the Ndebele people to stand up and demand justice. With groups like uLoyiko continuing to highlight and shed light on the genocide the work of demanding justice will be much easier. 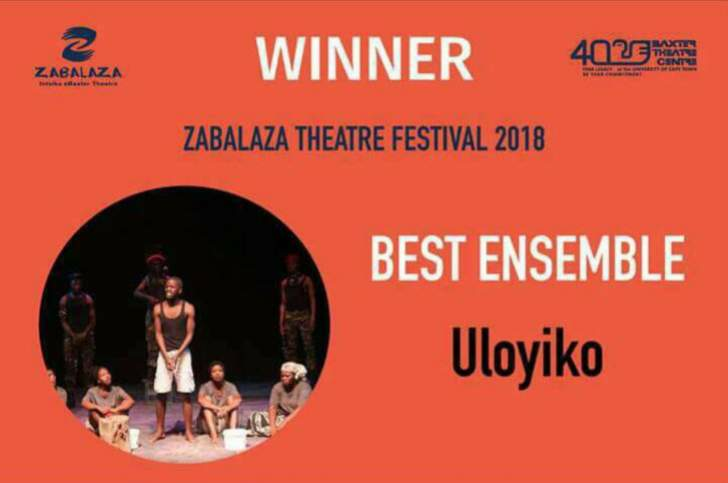 Amongst a large group of theatre groups which participated at the Zabalaza Theatre festival, uLoyiko came out as one of the top 3 groups. This entitles them to proceed to the National festival which will be held in August 2018.